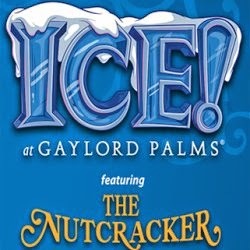 This years theme is the Nutcracker, so all the ICE is the story book coming to life in the ICE. As you enter you feel as though your apart of the story, the colors are amazing along with wow its made of ICE, the details make your jaw drop. 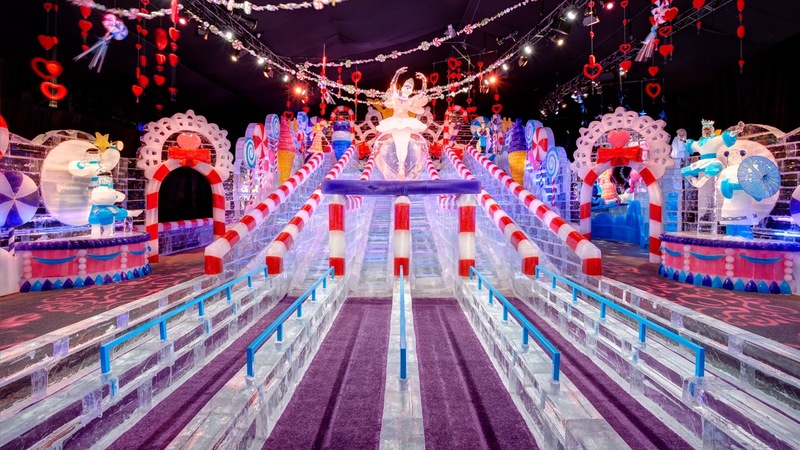 Everyone will surely enjoy the ICE experience, wither it be the the story, art work or the joy of sharing with friends and family, its worth seeing. Gaylord Palms supplies you with parkas which help fight the bitter cold. ICE! is kept at a frigid 6° Fahrenheit (-16° Celsius) closed-toe shoes and long pants are required. I couldn't find gloves for the older kids and they were screaming over there hands hurting, I recommend you pick up some gloves before coming because you will be sorry, but you can also purchase them at the gift shop while there. One note about gloves though, if you have a touch screen camera/phone it will not work with gloves on! Ice requires additional purchase, parking is $18 for the day. You can purchase Ice tickets by clicking here. ICE took us about 20 minutes to see it all, mostly because the kids were so cold so we were rushed through, but if they had been dressed appropriately (with gloves!) it would have been at most 40 minutes to truly enjoy all the works of art, along with the ice slides. All the kids LOVED the slides! We did enjoy ourselves and would recommend this as a one of a kind experience. 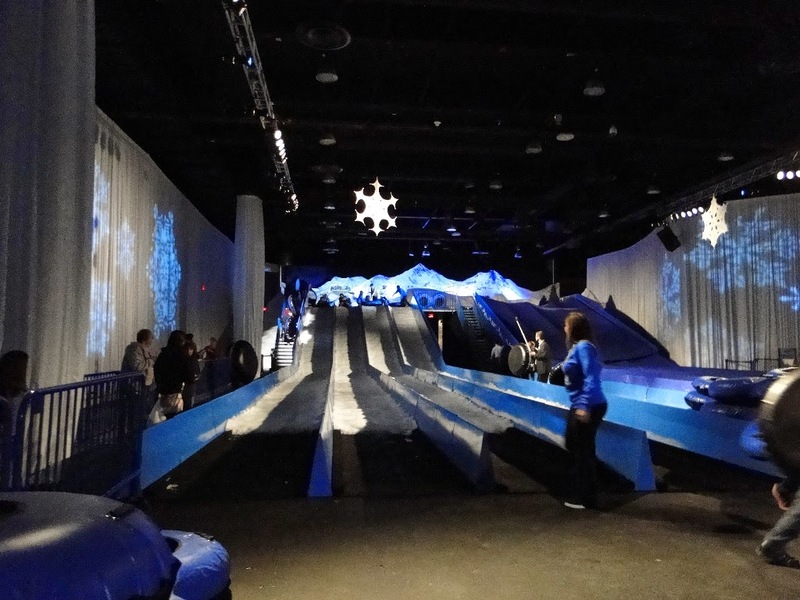 This year in edition to ICE you can upgrade to experience Snow Tubing which of course for everyone in FL is a big deal on its own since we never have snow. 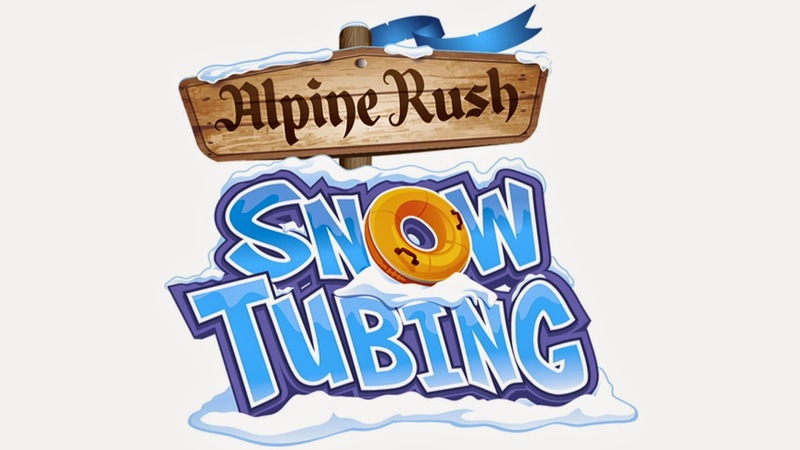 Snow Tubing is set up with different slides which they provide you a tube and you get to race one another down the slopes. Its really fun and you can add it to your ICE ticket you can purchase the combo here, which when you purchase in advance you save time and money. 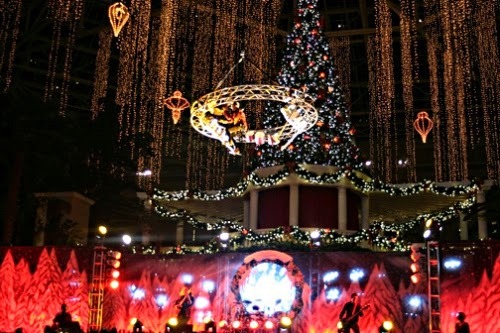 If you are staying at the Gaylord Palms you can make your way into the main area which they have all decorated for Christmas and have live stage shows, we got to see the show Luminescence-featuring the Edge Efftect we loved the show and the kids were jaws dropped eyes wide watching. The show itself took 30mins, they had the drummer in the sky and a woman doing airal arts and light effects, it was great!